Do you support progressive issues and want to make a difference in your community? If so, you belong with ADA. 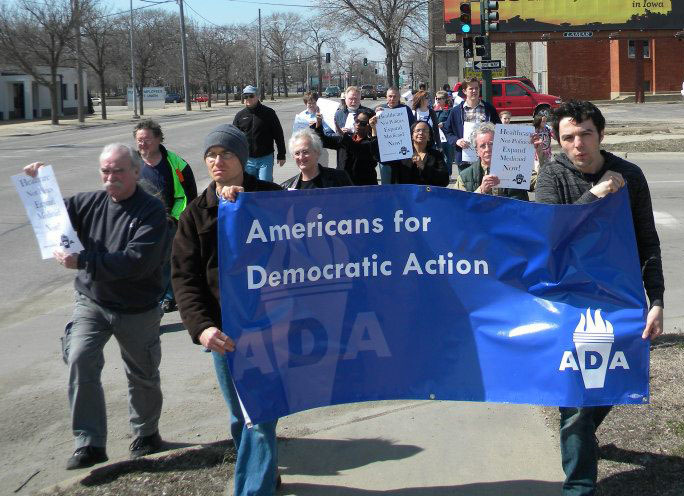 Your membership dues go directly to supporting programs like ADA’s community organizing project, which helps people in strategically located communities build the skills and strength to help all of us secure the progressive policy changes the country needs. Your support also allows us to continue national policy advocacy, produce our annual ADA Voting Record, and continue to expand the progressive political playing field. Want to help even more, or make several smaller contributions over time? Consider joining the ADA Sustainer Club! Paid for by Americans for Democratic Action and not authorized by and candidate or committee.